Asthma is a serious medical condition that impacts millions of people across the United States. It seems to make headlines when there’s a tragic incident in a local community related to someone having an asthma attack, or if a celebrity reveals an asthma diagnoses. And that’s exactly what happened a few weeks ago. Actress Kristen Chenoweth revealed in an interview with the Associated Press that she has been suffering with Asthma for years, but the condition had been misdiagnosed. Doctors had mistakenly treated her for other respiratory conditions, and this happens more than most people realize. Chenoweth made a public service announcement urging those who have asthma to be sure to follow the proper course of treatment and to stay on top of their condition, to minimize and be prepared for asthma attacks in the future. 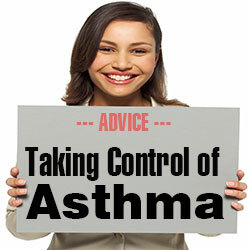 The most important thing for asthma sufferers is to get professional medical treatment. Asthma is caused by allergic reactions or other forms of hypersensitivity to certain triggers. The good news is there are some preventive steps that can be taken to help manage symptoms and reduce exposure to potential triggers. Here are some simple strategies that you can implement into your routine, and they can make a big difference in the quality of your life. This is extremely important. Many people don’t realize that asthma is one of the top five causes of death. It can strike at any time and sometimes there will be no warning. Even if you feel that your symptoms are under control, be sure to have an inhaler with you where you can get to it quickly just in case you do have an attack. While the explanation is still being studied, there is strong evidence that suggests that artificial sweeteners like aspartame and food dyes can trigger an attack. Do a little research online and start reading labels on your food’s packaging to see if you need to find alternative choices that contain natural sweeteners. The texture of milk and other dairy products can cause some people to produce extra mucus, which in turn causes a runny nose and a sensation that the throat is closing up. Obviously, you want to try to keep your airways as open as possible. Water on the other hand can help to clear mucus buildup in the throat, and staying hydrated is one of the best all-around preventive steps you can take to maintain good health. Dust your home regularly and change air filters every thirty days. Dust is an irritant that is among the most common triggers for asthma attacks. In addition to using hypoallergenic pillows and comforters, be sure to use the “rule of 3” – wash your pillow every three months; replace every three years. This will prevent any buildup of triggers such as pollen and dust mites. The average person sleeps one-third of his life, so make the bedroom a clean space. Also, if you haven’t replaced your pillows in more than three years, it will weigh more now than when you bought them. It’s time for new pillows. Using a humidifier every night during winter months will help keep your breathing passages open and reduce irritants in the air. Clean it daily after usage with white vinegar to prevent mold buildup. This is pretty simple, but one of the best ways to stay healthy. Your hands are the point of the body that have the most contact with the world, therefore they also are where we carry the most viruses, bacteria, dirt, dust and germs. If you have pets, you will want to be even more diligent because the pet dander on your hands can trigger an asthma attack. An asthma attack can be a frightening, traumatic event. It can cause damage, and sadly, even death. If you or a loved one suffers from this condition, you don’t need to live in fear, but you must manage this chronic condition if you take your health seriously. Getting treatment from a doctor is most important, but if you are proactive in maintaining your health, you will make sure your environment has few triggers that cause asthma attacks. With vigilance, you should be able to live a happy, healthy and active life.